This is our new product for our Daz 3D store: dForce Fantasy Dancer Outfit and Poses For Genesis 8 Female(s) is a complete outfit of several pieces (fantasykini, armbands, anklets, and skirt) that can be used independently, with 10 poses included, and many materials to choose for each part, including hide options, so you can customize it completely. This is a perfect outfit for fantasy dancers, exotic women, a sorceress, fantasy warrioress, and many other themes. A must have for your Genesis 8 Female! Posted by Jordi R Cardona at Thursday, March 07, 2019 Be the first to comment! Posted by Jordi R Cardona at Monday, February 25, 2019 Be the first to comment! Posted by Jordi R Cardona at Sunday, February 10, 2019 Be the first to comment! Our new product is released at Daz 3D today: dForce Cozy Outfit and Poses For Genesis 8 Females. This outfit includes a tee shirt dress, three versions of a heart-shaped pillow (left hand, right hand, and centered in body, also usable as a prop), three versions of a mug (standalone, left and right hand), and socks with pom poms. It also includes hands and feet poses, and 10 poses for Genesis 8 and all the outfit, and lots of materials that allow you to get countless different looks! A must have for your Genesis 8 Females! Posted by Jordi R Cardona at Thursday, January 24, 2019 Be the first to comment! Our new product for our Daz 3D store: EJ Handbags Collection and Poses for Genesis 8 Female(s), the perfect accessory set that will put the piece that your female renders need to look complete, detailed, and appealing. A must have! 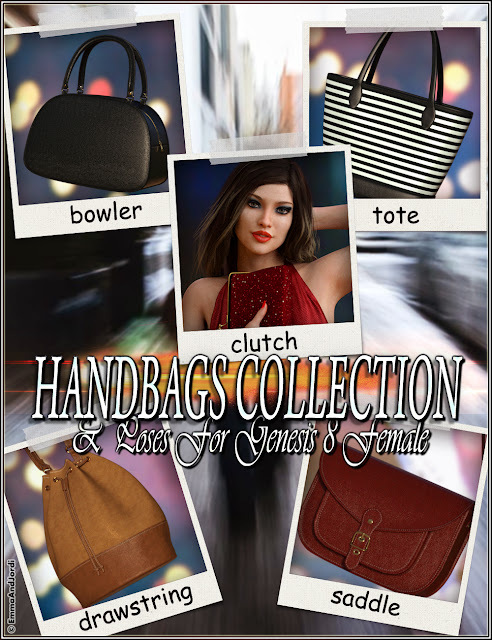 EJ Handbags Collection and Poses is a pack of 5 different kinds of handbags, 8 materials for each one, and 20 poses to use them in your renders (4 for each handbag). 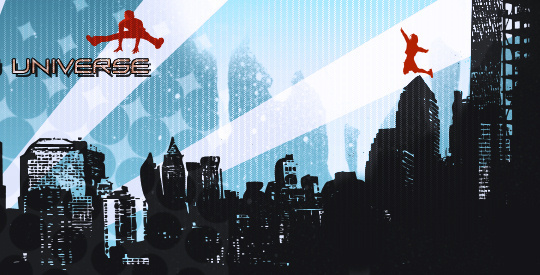 They can fit any situation, character, age, or render theme, as a handbag is always essential. You also have arm and hand poses to use the handbags with other pose packs, or build your own. Posted by Jordi R Cardona at Thursday, December 20, 2018 Be the first to comment!